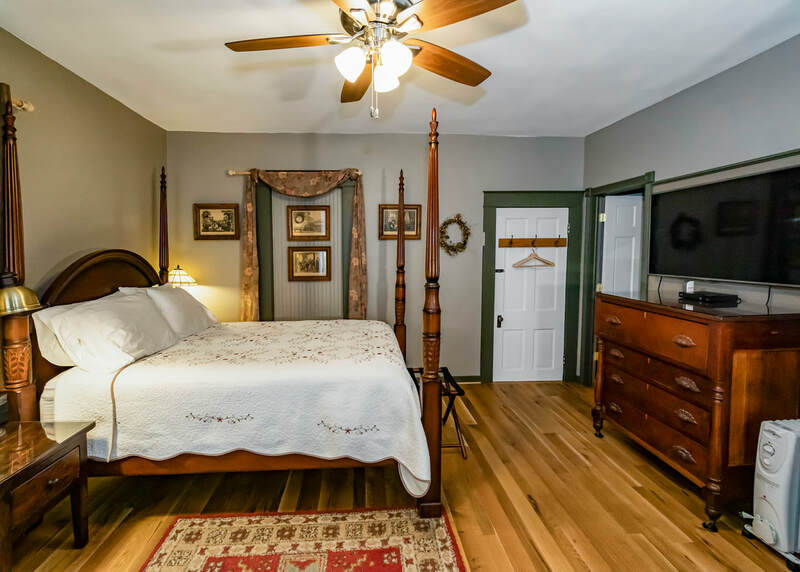 The Stone House Inn offers two finely appointed guest rooms designed to offer you privacy, comfort and a space to recharge for yet another fantastic day in the North Fork Valley! 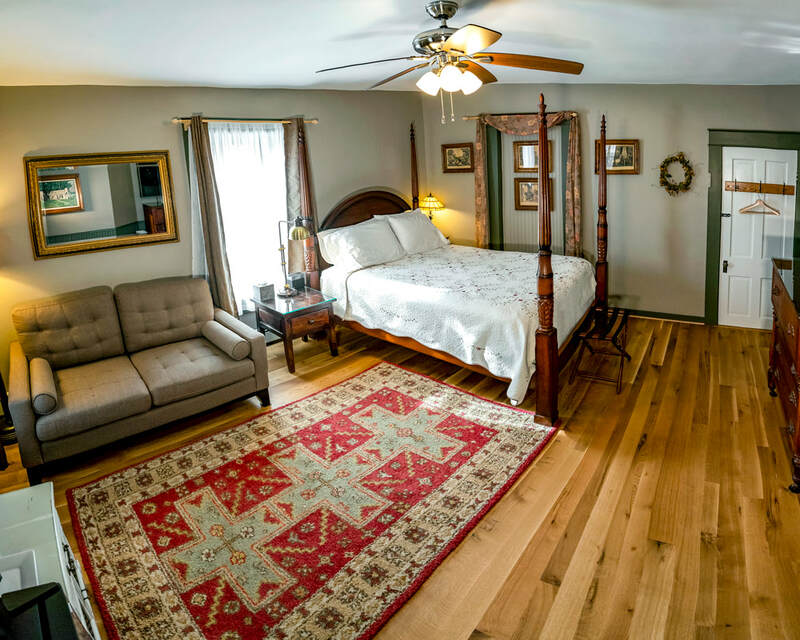 While your innkeepers have a private residence at the Stone House, your guest room is self-contained; meaning your space is yours to enjoy in full privacy. 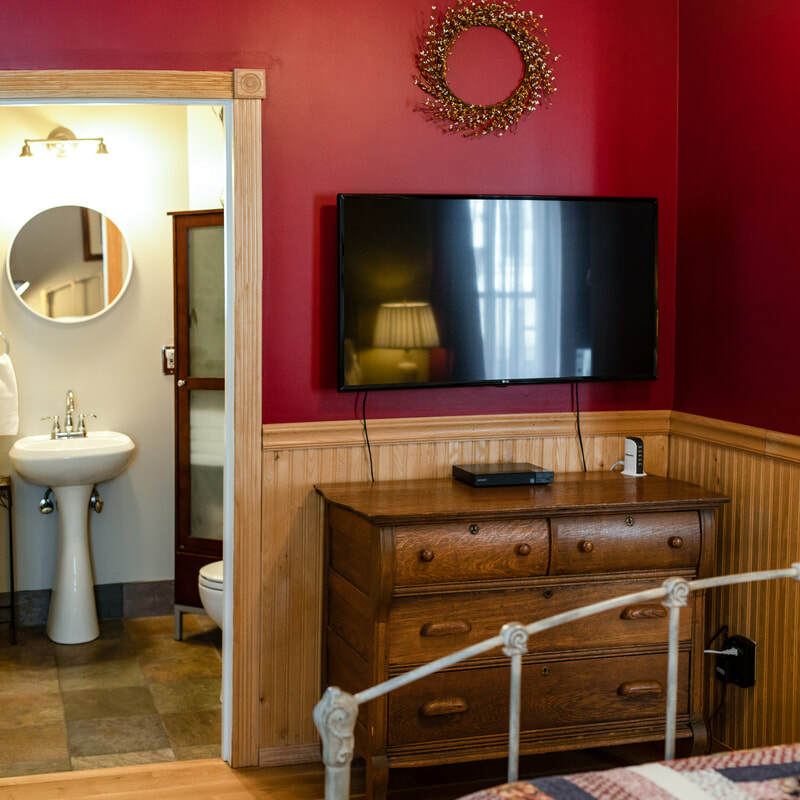 Both of our guest rooms have private entrances off of the front porch and private baths. Besides your private space, the large covered front porch is a shared space which serves as a great place to socialize with fellow travelers... or simply to relax on the porch swing, or rock the time away on our rocking chairs, as the world moves past. The Magpie Room has a romantic sensibility and features a handsome queen-sized four post bed. Whether you prefer to sit down with a good book, or wish to catch up with the world via an electronic device, your room has a sitting area with a comfortable loveseat, a side table and reading lamp. The bathroom features a large and newly renovated walk in shower. 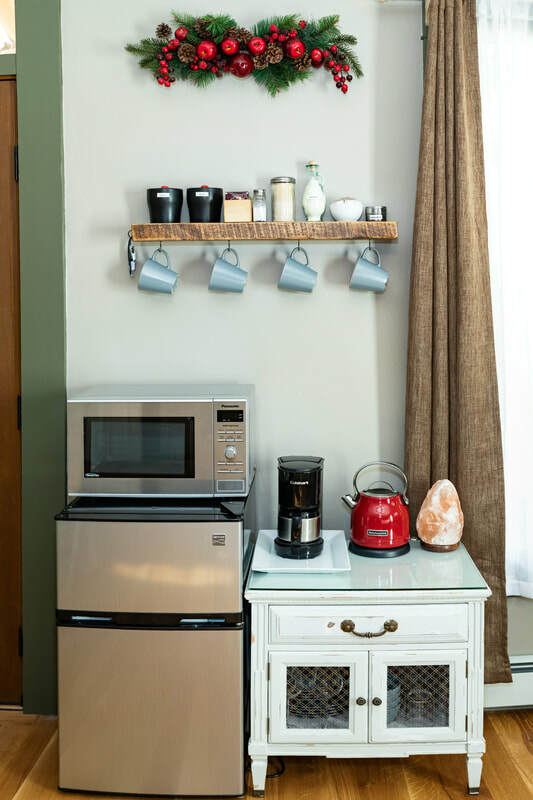 A mini fridge with separate freezer, microwave, coffee pot and hot water kettle. Air conditioning as well as a ceiling fan. Screened windows that open so you can enjoy our great Colorado sleeping weather - warm days and cool nights are common in summer! Bluetooth clock radio which allows you to play music, podcasts or anything else from your own source. 50" Smart TV outfitted with Netflix and Hulu streaming services, and a DVD/BluRay player (a selection of DVD movies is provided in your room). Free secured 100MB high speed Wi-Fi Internet. Complimentary organic teas, hot chocolate and organic/fair trade coffee. In keeping with our healthy living philosophy we provide only organic and natural body care products. In addition, we use only natural and gentle cleaning products, free of artificial perfumes, dyes and other things your body can do without. 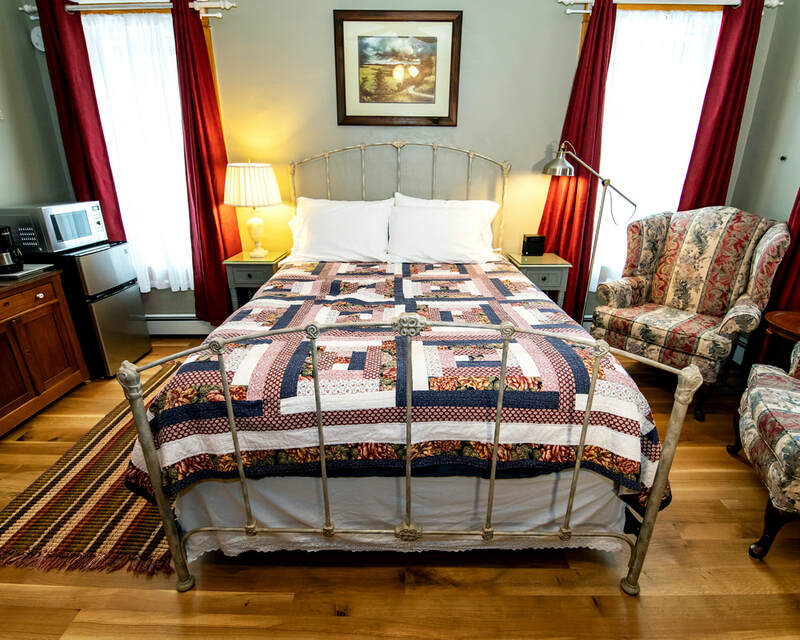 The Raven Room has an 'old farm house' charm, and features a queen-sized iron bed with a comfortable memory foam mattress. Enjoy a good book in the well-lit reading corner. 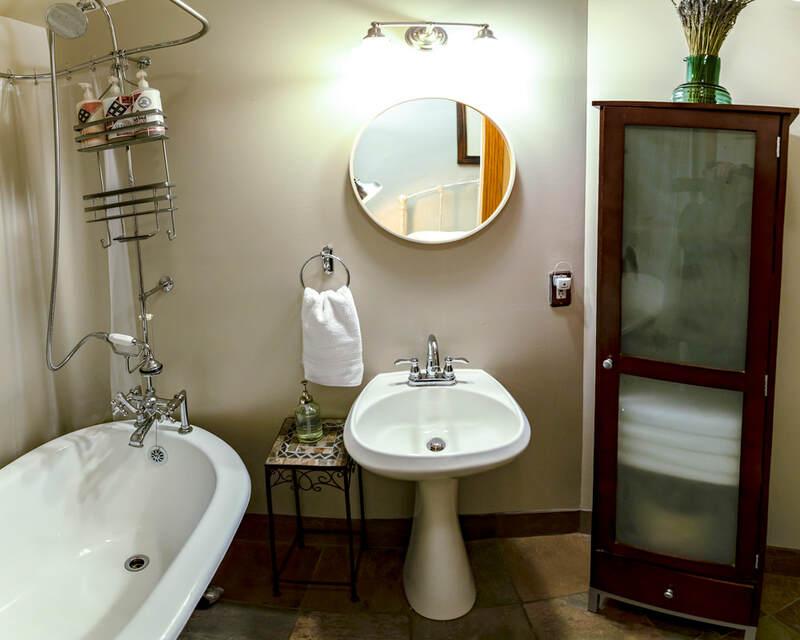 The bathroom features a claw foot slipper tub for end-of-day relaxation (we even provide the bubble bath) and an in-tub shower. And for the history buff, there are several historic photos of the home and its original inhabitants displayed on the walls of the room. 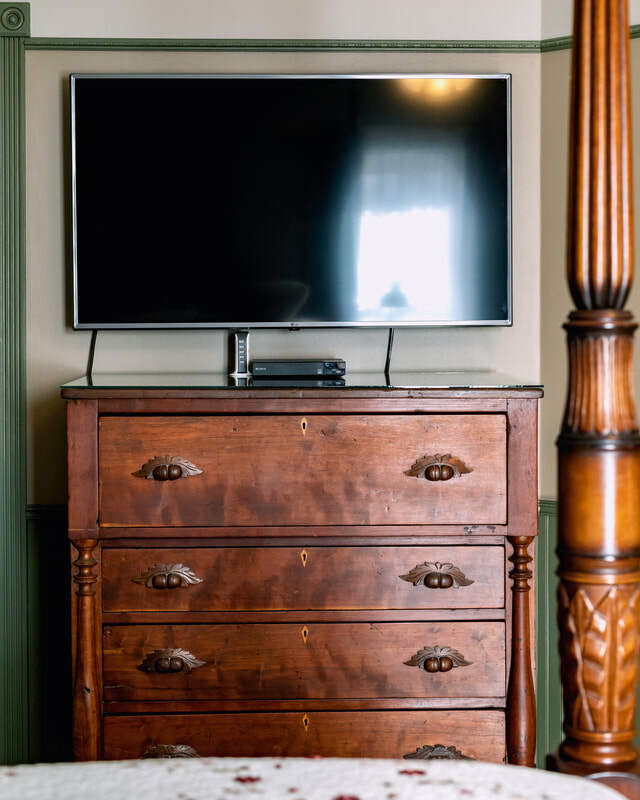 43" Smart TV outfitted with Netflix and Hulu streaming services, and a DVD/BluRay player (a selection of DVD movies is provided in your room).